Professor of environmental engineering, Vincenzo Belgiorno carries out scientific research in the areas of wastewater and solid waste treatment. He is head of the SEED, Laboratory of Environmental Engineering of University of Salerno in Southern Italy where on field experiences are combined with scientific research. Vincenzo Belgiorno published more than 70 papers in peer-reviewed journals and has been often involved in international research projects and conferences organization. He has a professional experience on design of wastewater treatment plants, solid waste treatment facilities and restoration of contaminated sites and he has been responsible of several consultancies of the University of Salerno to Institutions and private companies. He served as consultant for Italian Parliament in the waste emergency and its connections with criminality and as commissioner for Regione Campania for the construction of an anaerobic digestion plant for organic waste treatment. 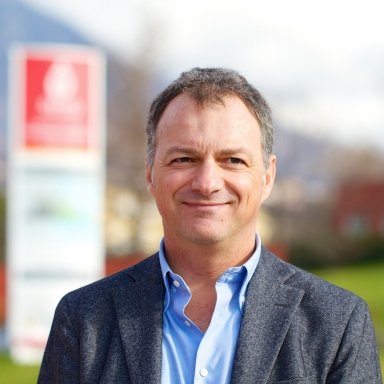 Vincenzo Belgiorno is currently coordinator of the Doctorate School in Environmental Engineering at University of Salerno and associate editor of Desalination and water treatment and Global Nest Journal.